The Merlin Classic takes centre stage in the range with uncompromised engineering and tailored design. This stove surpasses everything, meeting every expectation and desire in a high performance stove. 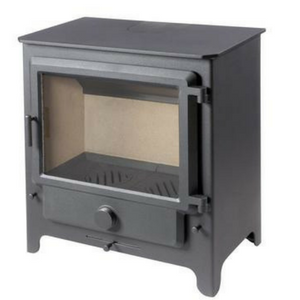 Contemporary or traditional, Merlin Stoves are noticeably different. There is one single door to clearly see more. It's dust free clean design without fussy details. Unlike other stoves, heat is delivered to the room in seconds after lighting. Straightforward controls mean regulating and maintaining the desired temperature is simple. The stoves twin-skinned insulated jacket ensures heat is accumulated and maintained within the stove body for hours after shutdown.